May is Mental Health Month so now seems like a great time to explore the emotional side of living with, or caring for someone with, diabetes. What things can make dealing with diabetes an emotional issue for you and / or your loved one, and how do you cope? Thanks go out to Scott of Strangely Diabetic for coordinating this topic. You can go here for more What Brings me Down. I don’t often find myself feeling down because of diabetes, and I thank God for that every day. Don’t get me wrong, I have certainly had my struggles. Most of them can be categorized into two categories: low blood sugar and being overwhelmed by it all. Dexcom sits on scar tissue all the time. Lately my biggest fear comes from scar tissue. Yes, I have it. I’ve had it in my arms for YEARS. My arms were always the easiest place to take a shot as a kid, so I did. When I got a pump in 2002, I became really good at rotating sites. It was easier for me with the pump than when I was on shots. I’ve also recently learned that I am developing scar tissue on parts of my legs as well. I’ve got a pump and a CGM to consider where to wear. 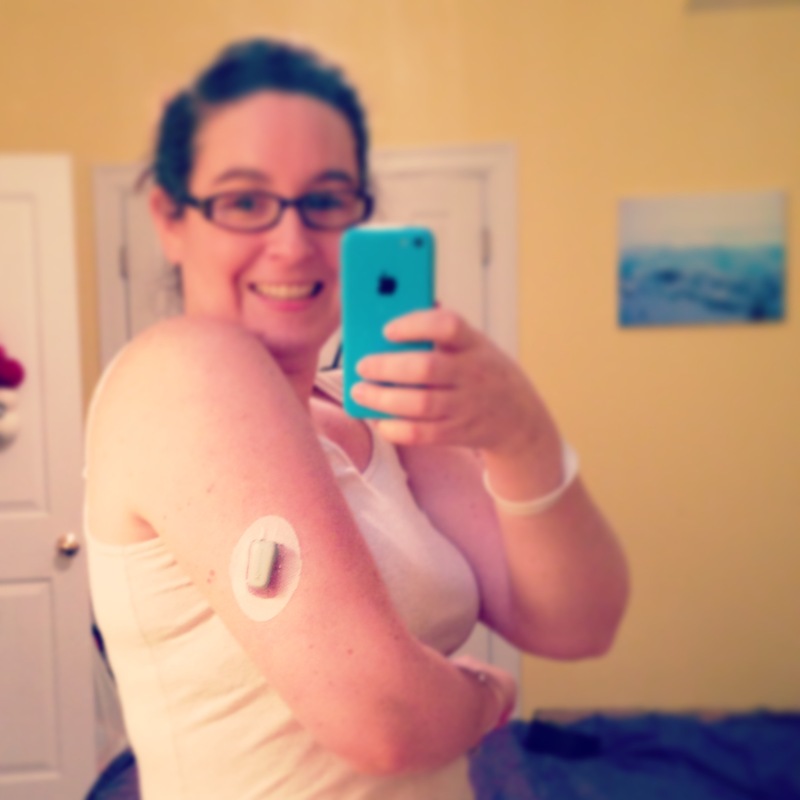 As much as I love my CGM, I am more concerned about the pump sites (the CGM sites can be worn on/in scar tissue). What happens as the scar tissue develops further? How fast will it develop in the other areas of my body? Will there be a time when all I have is scar tissue? What then? I know there are always lots of technologies being developed. We all have one that sounds amazing. To me, it’s inhalable insulin. I have no idea if it could be as accurate as my pump. I do know that I want it if it’s my only choice though. I know that there are many of you out there who deal with diabetes & depression every day. I wish you the best in your fight and I know that my fear of someday having too much scar tissue is no where near an imminent as the fights you have on a daily basis. I am inspired by you thriving every day. Ahh, I have that same fear!! I’ve been using my tummy for 17 years and it looks like I’m getting scar tissue but I never know for sure…I dread the day that I can’t use my tummy anymore.